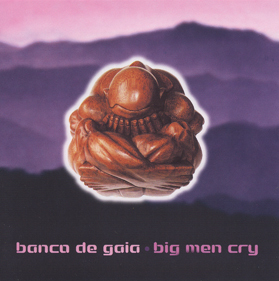 Big Men Cry is considered by many to be the undiscovered masterpiece of the Banco de Gaia catalogue. The album’s original release was surrounded by chaos, due to myriad problems at the label (which soon after went bankrupt). As a result, despite getting airplay from Pete Tong and Annie Nightingale on Radio One, amongst many others, Big Men Cry never really broke through like it’s predecessors, Maya and Last Train to Lhasa.